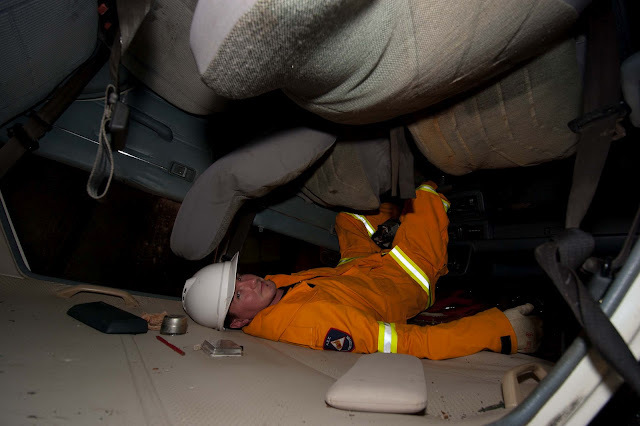 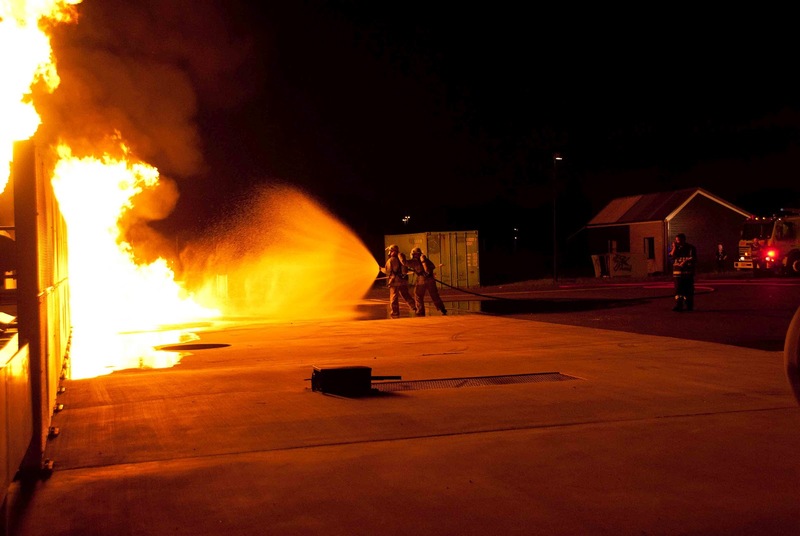 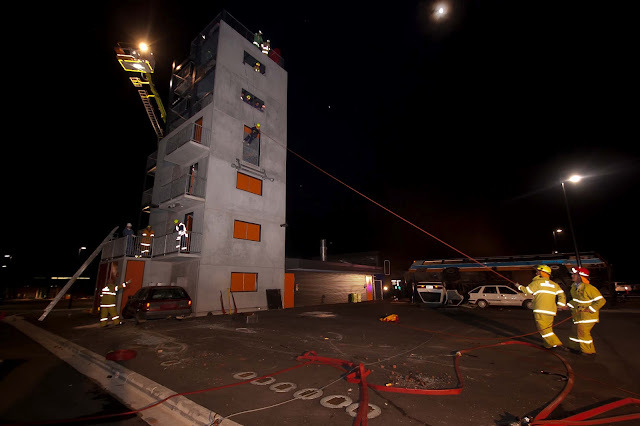 The ACT Fire Brigade put the skills and leadership of its members to the test under extreme pressure conditions. 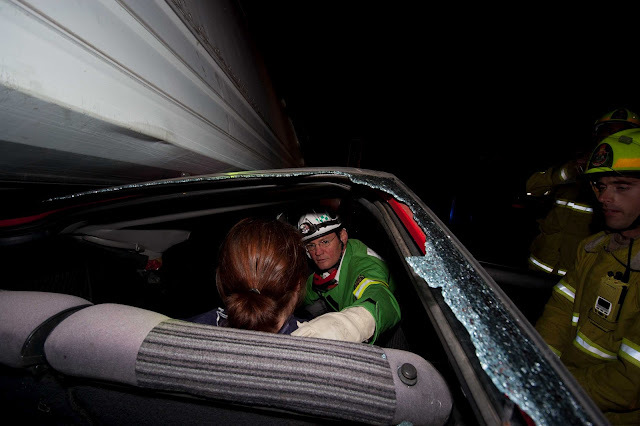 They had to cope with worst case scenarios including gas fires, multiple casualties, multiple injuries, located everywhere from the top of a multi-story building, impaled in a bus, various motor vehicle extractions using the jaws of life, located confined spaces in a basement, casualties requiring vertical rescue and location and extraction from the smoke house in the dark. 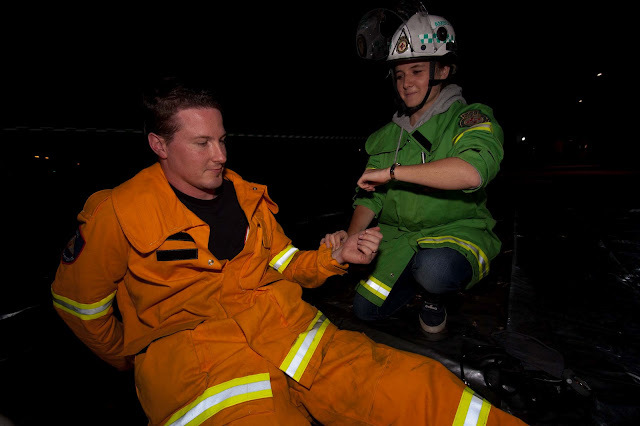 The Bronto crew did a marvellous job of rescuing trapped and injured casualties from the roof. 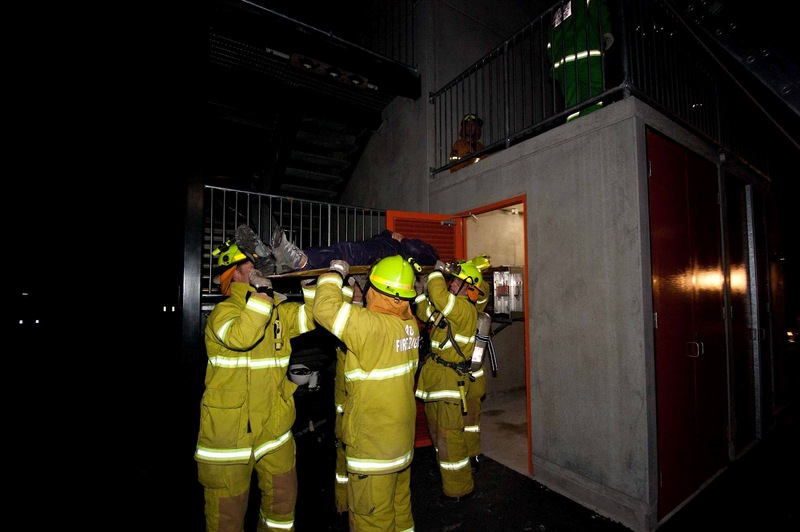 ACT Rural Fire Service and SES volunteers took on the roles of casualties and had great fun being involved in the exercise. 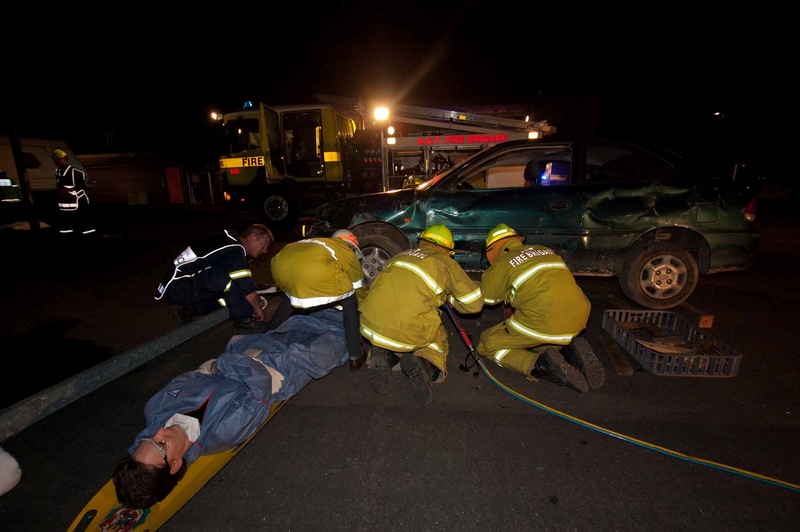 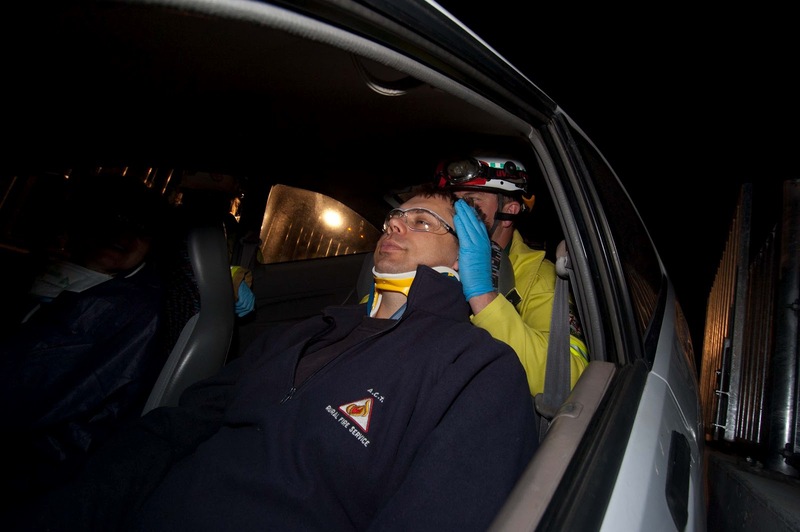 The ACT Ambulance Service also contributed significantly and used this as an opportunity to hone their skills and to train paramedic students in near real-life situations. This is also an example of how well the 4 Services can work together should we ever have to deal with such a major incident in the ACT or surrounding regions. 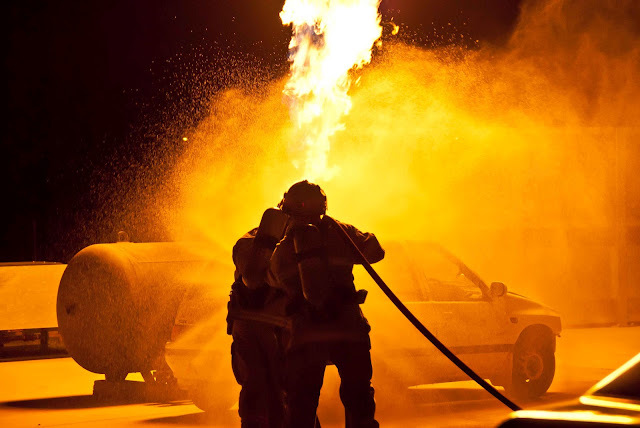 Let us all say a big "THANK YOU" to Kaye Parsons for her wonderful meals and to Matt Mavity for organing this and putting up with the rest of us!